My love affair with cake knows no bounds. Actually scrap that. My love affair with JUNK food knows no bounds. Chocolate bars, crisps, nuts, pretzels, ice cream, doughnuts and cakes. I freaking love it all. I do what I can to curb this type of gorging to a less frequent basis than I would ideally like, but it’s a tough one. I mean it’s right up there with completing my PhD thesis, passing my driving test and breaking my ankle while running for a train. However, the wholesome and innocuous affair that is Afternoon Tea does help to reduce the guilt of supplementing cake at mealtimes. So this is a meal I will wholeheartedly endorse. 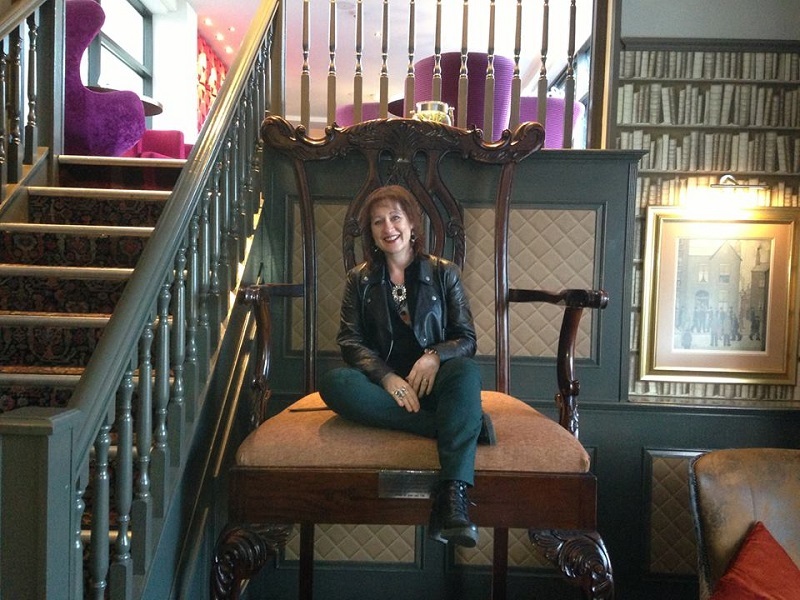 Enter Catherine (a blogger, businesswoman, author of ‘Blood and Roses‘ and runner up of the 2014 Prolitzer Prize) and her offer to write about the glorious gluttony of Afternoon Tea. Catherine’s witty repartee and love of the baked goods far surpasses my own, so who else better to write about this than her. ‘Le Rosbif‘. A hundred years ago that was what a Frenchman might have called someone from the UK (admittedly if he was being interviewed by ‘Le Daily Mail’). Times, mes amis, have changed and so have our dietary delights. Nowadays a more fitting response would surely be ‘Le cake’? 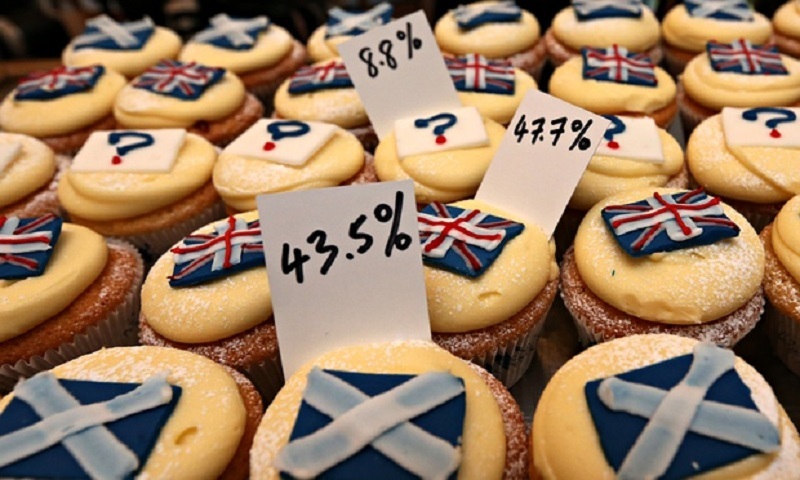 Cake (never gateau, this is sterner stuff), we are a nation obsessed. It’s probably the main thing that unites us in these devolution-hungry times, except when it’s being used as political shorthand. Everywhere we go, we are surrounded by images of icing-laden wonders. A visiting alien could be forgiven for thinking cakes are some form of primitive god. So it’s little wonder cake was the only food craved by Scarlett Johanssen when she fell to Glasgow’s streets last year for purposes that still remain a mystery to me. Last year’s Great British Bake Off season finale achieved higher viewing figures than the World Cup final. Sales of baking books continue to rise (we’re probably all using them as weights to work off the extra calories) and stick a candy-coloured cupcake on the cover of a novel and you’ve got a sure-fire hit. I’m toying with my next book bringing a bit of a Scottish flavour to the craze – Deep Fried Mars Bars at the Irn Bru Café anyone? Our love affair with cake is so evolved we have even developed a whole meal devoted to it: Afternoon Tea. Alright, I know other food besides cake is involved in the Afternoon Tea but the point of the whole affair (and I use that word deliberately, if it’s done properly this is an experience that should mix guilt and pleasure in equal parts), is the cake. Afternoon Tea was introduced to Britain in the early 1840s as a mini meal to stem the hunger while waiting for dinner at 8pm. It was originally a private event for society women but it became a more formal and accepted public pastime when Queen Victoria took to the craze. After which, hundreds of women would attend cake-filled receptions with no worries about how big their bums might end up looking (just imagine how much cake you could hide under a crinoline). 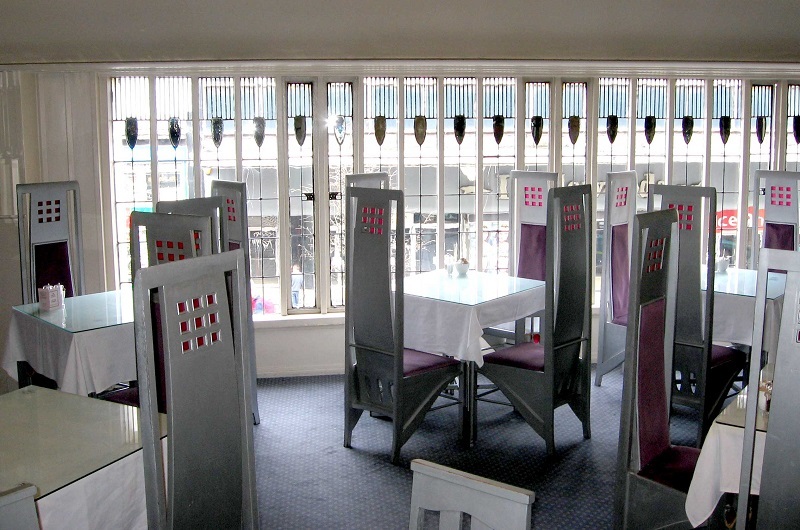 Glasgow, of course, has a particularly strong association with this ritual through the Willow Tea Rooms, designed by our own Charles Rennie Mackintosh and established by the formidable Kate Cranston. Kate Cranston opened her first tearoom on Glasgow’s Argyll Street in 1878 and expanded her chain to four premises by 1903, an impressive achievement in a time when women were neither expected nor welcomed into business. What made her successful was her democratisation of the afternoon tea ritual. She welcomed a wider social mix than other establishments and subsequently opened up the delights of the tea tray to ladies and ladies maids alike. 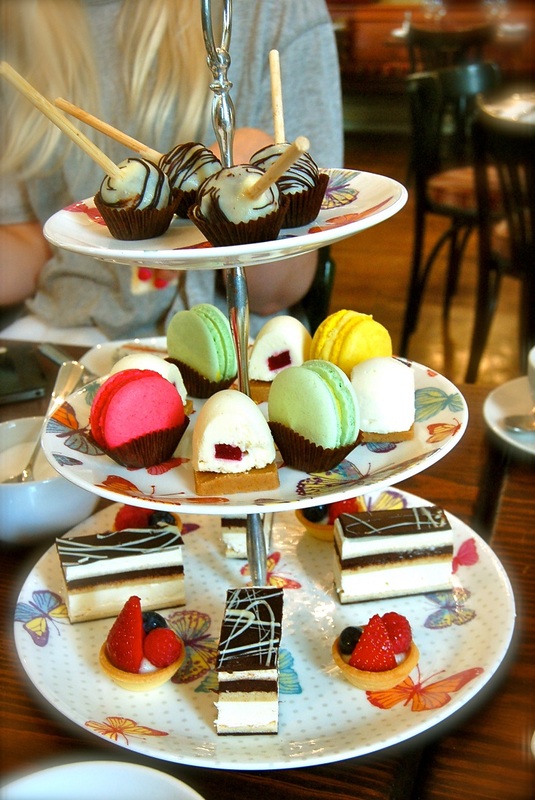 The Willow Tea Rooms are still a lovely place to visit and Glasgow has no shortage of places to treat yourself to a carb-fest. From the shabby chic of The Butterfly and the Pig to the elegant lines of the Blythswood Hotel. 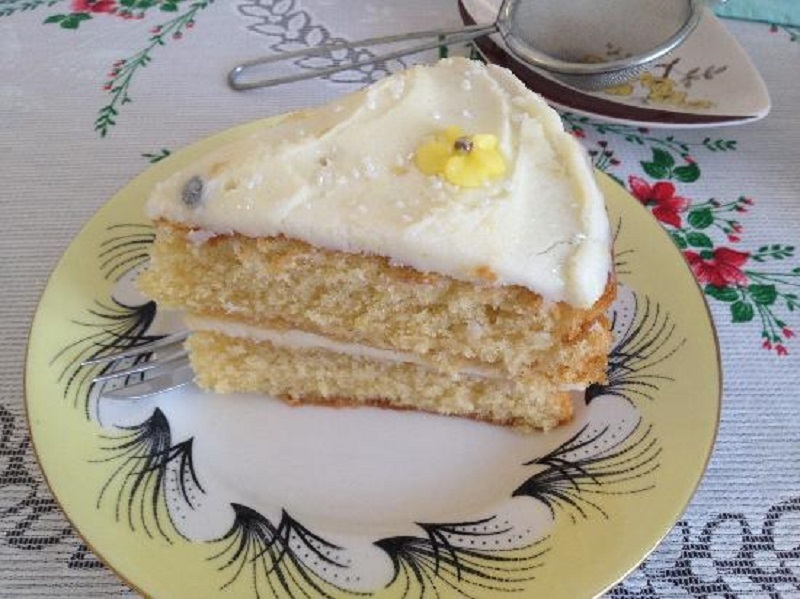 I have scoffed myself into a coma in both and thoroughly enjoyed their different takes on the experience but my favourite cake haunt is The Cup and Saucer Tearoom in De Courcy’s Arcade in the city’s West End. I know I’m going to regret sharing this with you, it’s hard enough to get a table there as it is, but there’s nowhere like it. Their afternoon tea is insane, the slice of cake in the picture (below) is actually enough for two. The sight of my husband’s blissful face as he was brought a scone the size of his fist on a laptray, because he was sat on an armchair and looking a bit tired (cause stretching to reach a table was beyond him), was one of those quality moments you only get in Glasgow. So please go, eat, enjoy and then lie down for a very long time afterwards and feel the general rightness of the world. That’s really what cake is all about, a chance to stop and check-in with the good things in life. So in the spirit of that, I’d like to end with one of my favourite recipes. 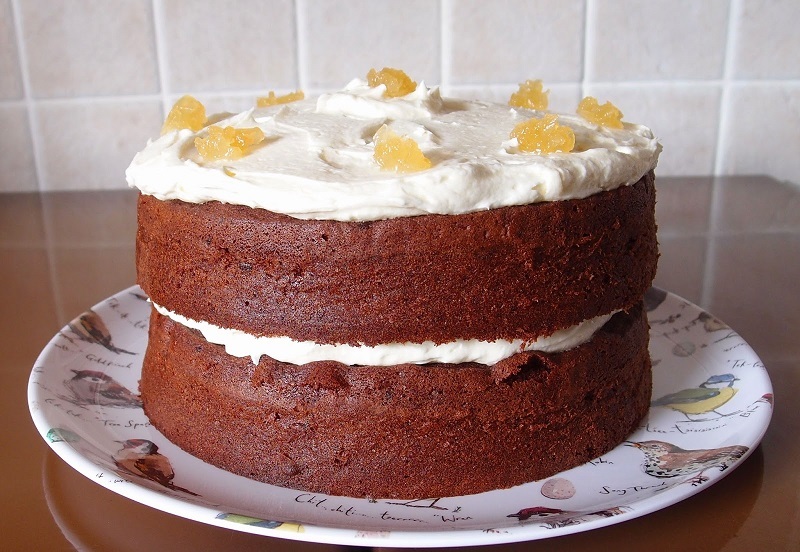 I take no credit for it, it’s from the wonderfully named blog, The Caked Crusader which contains some of the scrummiest cake recipes you’ll ever find and the best bit of advice I’ve read from one cook to another: “Bask in the glory of the wonderful thing you have created”. This recipe, a Chocolate & Ginger Sandwich Cake, is divine. Eat a sliver, share it, lie in a dark room and gorge yourself stupid. However you do it, it doesn’t matter, so as long as you enjoy every crumb. There’s always tomorrow for salad. Catherine lives in Glasgow. Following a career which covered marketing, politics and education, she moved over to run her own business which ended up mostly getting in the way of her writing. She has a History degree and her thesis focused on politics, women and witchcraft in Medieval England. This kick-started the historical story-telling bug which finally came to fruition in her first novel, ‘Blood and Roses‘ set in the fifteenth century about Margaret of Anjou, wife of Henry VI & a key protagonist in the Wars of the Roses. Blood and Roses will be published in 2015 by Yolk Publishing. Catherine also writes short stories and was runner up in the 2014 Prolitzer Prize. She blogs at Heroine Chic which historically recasts tv, film & literature while ranting/commenting about women, society & life in general. In her spare time, she loves films, listens to loud music and tries to remember to talk to her husband and children.